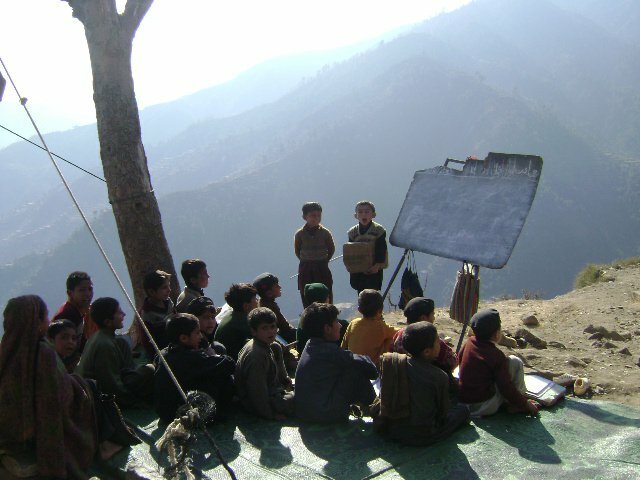 "u can burn the schools... not the quest of learning"
says the person who took this photograph. See the whole album on Facebook here. 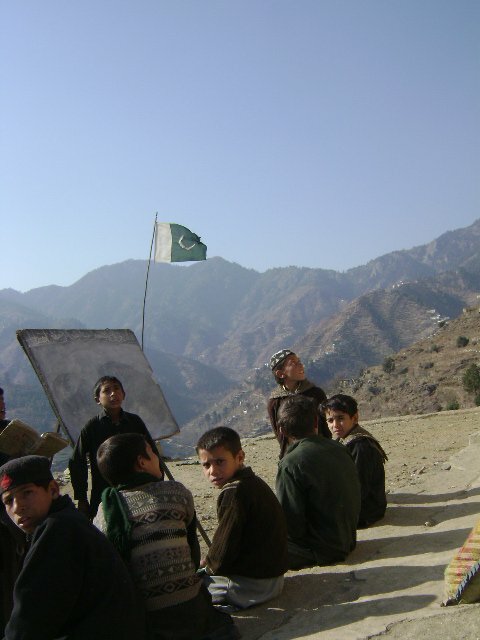 It was taken on a trip "up north" in Pakistan and captured some pictures of schools in the Swat Valley. Taken just on its own, the picture captures so much: the raw beauty, the pathos, the Pakistani spirit. But as a symbol of the year and all that came to pass in it, the image has another layer of symbolism. It was taken in the Swat Valley, Ground Zero for both of the "transcendent struggle of our time"—however you want to define the hot war being waged on The Roof of The World—and for the natural world we live in and the crises, both natural and man-made, we are faced with. And it presents you the people, for they are people, who are our future as a planet. Look into this image; see if you can see past the damaged top of the blackboard (how many of the younger folks out here in the West will ever see a real blackboard?) and into the valley beyond. This has been hanging out in my drafts folder for a little while. But the topic is one that stays current. So, a little while back a friend/senior of mine from college forwarded the article yesterday by William Dalrymple in the New York Times titled "Sufis—The Muslims in the Middle". And it's a great article, in which he basically uses the case of Feisal Abdul Rauf, the Imam of the mis-labelled "Ground Zero Mosque" to make the case for Sufis and Sufism. But on the question of how the mosque has become such an issue in the silliness that is the American political echo chamber and the wider discussion about Islam, radicalism and fanaticism, I wish he'd not left the "…or political calculation" half of his argument to what amounts almost an after-thought. To me, as I have said before (here, for example, or all the way back here), it is not even a question whether the Xenophobic Right—be it in the US, in India, or within the Muslim Ummah itself—gets excited over hot button issues (such as this mosque, or the—also mis-labelled—hijab, or this or that historical site) out of ignorance or out of political calculation. To me, bit is pretty obvious that these issues are used lightening rods to, we say in Urdu, add shine to their work. And I can't leave the discussion of Dalrymple's little tangent on the Sufis without noticing that it does seem like he's trying to project his strong feelings and experience about the South Asian Sufi tradition onto the topic of the day. While it definitely is the case that Sufism represents the "softer side of Islam", so to speak, projecting one's feelings onto Sufism some times starts feeling like a lot of wishful thinking. But I have said that before in a post titled "Sufi Bunnies". 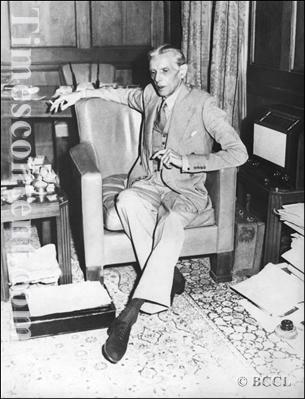 Jinnah was no Ataturk. One was a man of legal means, democracy and the rule of law--to the extent of disagreeing with Gandhi on rabble-rousing and demagoguery. The other was a brutal autocrat. The person I was conversing with said something to the effect of being in favour of everything Ataturk did, but without the brutality. Huh? Brutality IS what he did. Like a lot of the policies, effects, and blowback of the kind of imperialism practiced by the European powers in general and the British Empire in particular during the Age of Colonization, (and, to a large extent, still practiced as US and Western "foreign policy" in a post-colonial, some would say neo-colonial age) I see the Young Turks as one of those things that interrupted, delayed, and perverted the healthy evolution of the Turkish state and society. (The Armenian Genocide included, which was something carried out by the same team.) Giving us the Islamist government we have there today (which I really haven't made up my mind about) as surely as putting in place and propping up Mohammad Reza Pahlavi gave us the "Islamic Republic" in Iran. A friend just said on Twitter (and another cross-posted his agreement from there to Facebook), that magazines/newspapers/radio stations should ask permission before quoting from Twitter and Facebook. I go back and forth on that. Both as a twitter contributor and a blogger who needs to quote Facebook and Twitter. Quoting from email or conversation, I am bringing something from a private domain into the public one; but when I quote Twitter or Facebook, I am quoting something that anyone can see anyway, no? Unless it's a protected tweet. Then maybe it makes sense to ask. Also, some times I think one should ask permission if one wants to link to a status, particularly on Facebook. And I didn't ask either friend for permission before writing this comment. Was I wrong? 3 Cheers for Lyari--An Activist Pakistani "Neighbourhood"
"Three cheers for them, indeed! Whether one agrees with their politics and ever socially interacts with that community, if there is a place in Pakistan whose denizens once can be proud of for their civic engagement, their spirit, and their activism, as the poet said, hami ast." For a person like me, who was born and grew up and West Africa, following the World Cup or soccer in general is like being a South Asian and following cricket; you don't have to love the game to be informed about what's going on and be invested in your "home team" or teams. With The Eagles holding Argentina to 1-0; South Africa holding Mexico to 1-1, the US holding England to 1-1; and now The Stars pulling off a win against Serbia, I'd say we're having a good Cup! Just noticed this in Facebook's "Suggestions" and saw which of my friends are already fans. I just LOVE how this one cause--denouncing a senior of mine from college who's a right wing nationalist and is not even a political party yet--brings together my MQM wala friends, my Tehreek-i-Insaf-leaning friends, my progressive Muslim friends, my Marxist friends, my Trotskyist friends, my blaager activist friends...wallah! if we had that kind of unity amongst Pakistanis on ANYthing else, we'd get somewhere!